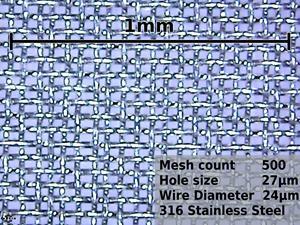 500 mesh can be cut to a maximum of 75cm by 120cm. For larger sheets, see off the roll. Rectangular sections of 500# woven wire mesh for filters, seiving or screening. 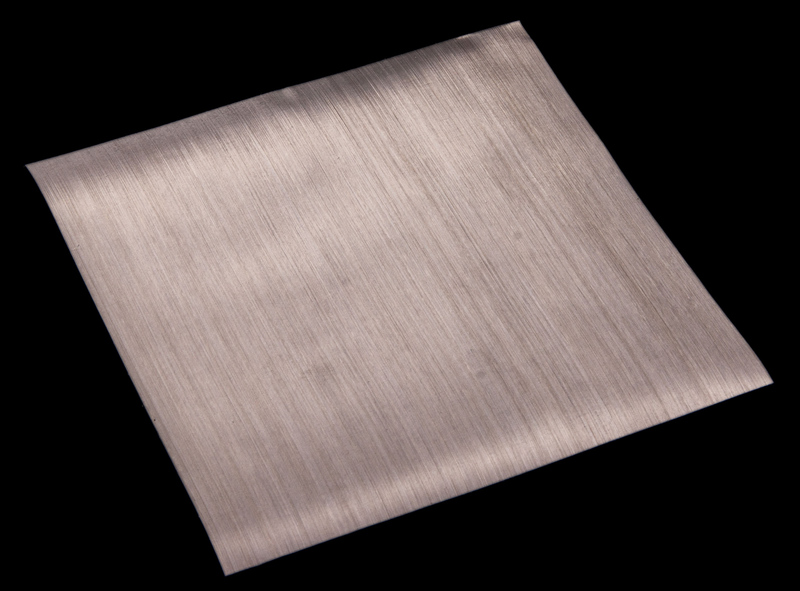 316 Stainless steel for long life without corrosion. Food use. 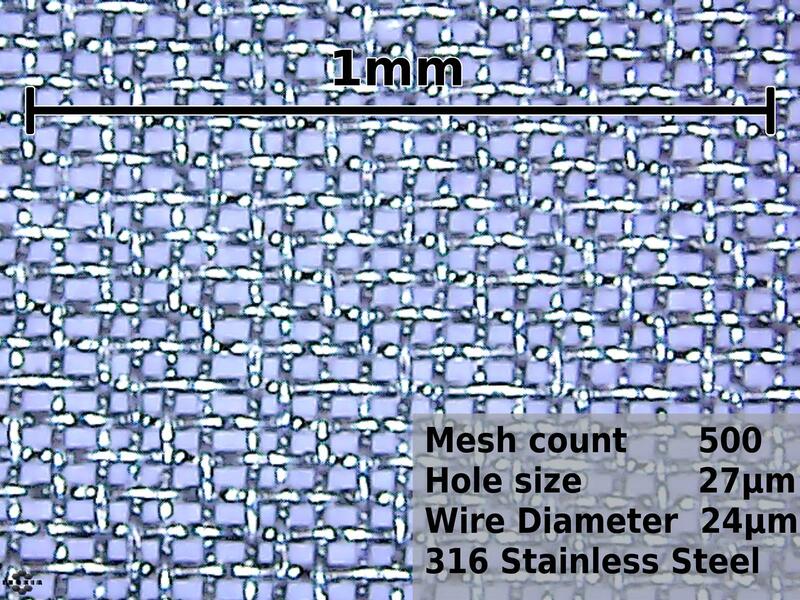 Wash mesh with detergent before first use.